This is good. No short-cuts. I’d add that growing as a writer means becoming more observant and more attentive to the world around you — and learning how to translate all that into words. We all know that nobody is born as a good writer. It is a constant process of becoming. And I do believe that the difference between good and bad writers it’s not about the skill or gift. It’s not even about the number of written or published pieces. The key word we are looking for is persistence. Good writer is writing – no matter how many times he fails or writes crappy work. He is there showing up every day, practicing and trying to improve himself. Not only writing, but everything that goes with writing. I have found that while hard work and persistence is a good trait, this saying “what happens is that fear of failure is greater than desire to produce” is my Achilles heel… having been critized for every other thing in my life I have developed the perfectionist curse and so most of our work… my twin and I have writing that have been torn apart and rearranged and still collecting dust on a shelf. Perfectionism is a killer. I inherited it from my father, from whom I learned that it’s not safe to be wrong, to make mistakes, to fumble like most of us fumble when we attempt something new. It comes up fairly often in my blog posts — check out the tag cloud on the right and search on Perfectionista and Internal Editor. Some of those posts might give you some ideas. The Process tag might be useful too. Perfectionism generally boils down to a lack of faith in process. Everything is either dismal or brilliant, and there’s no way to get from one to the other. Do you share your work with others, informally or in a writers’ group? One big advantage of this is that you get to see other writers’ work in progress and how it evolves. Too often we compare our own drafts to the published work of an experienced writer. We don’t see how many drafts that work went through, or how much feedback the author got from readers and editors. This is one reason I love acknowledgments sections: they remind me that writers may write in isolation, but our work benefits tremendously from others’ input. Sooner or later this kind of writing will bring you up against every obstacle you can imagine, and for me at least most of those obstacles are spawned by my own fears. 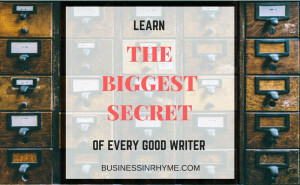 Stringing words together and crafting them into something clear, coherent, eloquent even — that’s the easy part. Dealing with the demons is hard. One of my mantras (which I have to remind myself of often) is “The way out is through.” That’s why this blog has the title it does: Write Through It. What I think Walker was getting at is that writing is, among other things, a path to recovery and discovery. Who am I under all those fears and what am I capable of? Scary stuff, and best dealt with one day at time.